Asylum Archive is directly concerned with the reality and trauma of life for asylum seekers. Asylum Archive originally started as a coping mechanism while seeking political asylum in Ireland. Asylum Archive’s objective is to collaborate with asylum seekers, artists, academics, civil society activists and immigration lawyers, amongst others, with a view to creating an interactive documentary cross-platform online resource, which critically foregrounding accounts of exile, displacement, trauma and memory. it is this predicament that is the primary focus of the Asylum Archive. In this liminal state of deliberation, asylum seekers are habitually beholden to conventions of self-representation in the asylum interview process and everyday experience of the waiting period for a decision. These conventions compel the continual re-telling of ‘the “right” kind of refugee story in which complexities are smoothed out to create a simple linear narrative of individual crisis and flight. The Asylum Archive resists this convention of storytelling. Instead this online archive of photographs, essays, interviews, reports and ephemera related to the lived experience of asylum in Ireland foregrounds a visual aesthetic based around absence. Primarily the work of one creator who remains anonymous at the time of writing, the photographs (which form the bulk of the archive’s content) are devoid of people to emphasize the dual burdens of visibility and invisibility experienced by those seeking asylum in Ireland as a psychological, social and legislative process’ (McIvor, 2015). Direct Provision Centres are the new category of institutions; ‘non-places’, ‘deprived of singular identity or relations’; where the undefined incarceration is the only existence. The identity of asylum seekers is unknown; ‘their identity is reduced to having no known identity; direct provision sites are ‘non-places’ where asylum seekers establish their new identity through the process of negotiating belonging in a current locality (Auge, 1995; Schinkel, 2009). The Direct Provision scheme was introduced in November 1999. There were 82 centres located across the country; some of the buildings include Convents, Army Barracks, former Hotels, Holiday Homes, etc. Most of the centres are situated outside of the cities on the periphery of this society. That decision significantly reduced integration with the local population leaving asylum seekers community to dwell in a ghettoized environment. Asylum seekers live in overcrowded, unhygienic conditions, where families with children are often forced to share small rooms. The management controls their food, their movements, the supply of bed linen, and cleaning materials exercising their authority, power and control (Foucault, 1975). According to Ronit Lentin, Direct Provision Centre’s are ‘holding camps’ and ‘sites of deportability’; which ‘construct their inmates as deportable subjects, ready to be deported any time’ (Lentin, 2012). According to Free Legal Advice Centre (2009) these privately owned centres, administered by the Government of Ireland constitute a ‘direct provision industry’, which makes a profit on the backs of asylum seekers (Lentin, 2012). Simialrly, Photographer and theorist Allan Sekula describes Bentham’s idea of the Panopticon where, ‘the principle of supervision takes on an explicit industrial capitalist character: his prisons were to function as profit-making establishments, based on the private contracting-out of convict labour. For Foucault, ‘Panopticism’ provides the central metaphor for modern disciplinary power based on isolation, individuation, and supervision (Sekula, 1986: P. 9). ‘The archive has to be read from below, from a position of solidarity with those displaced, deformed, silenced or made invisible by the machineries of profit and progress’ (Sekula, 1983). Memory, for migrants, is almost always the memory of loss. But since most migrants have been pushed out of the sites of official/national memory in their original homes, there is some anxiety surrounding the status of what is lost, since the memory of the journey to a new place, the memory of one’s own life and family world in the old place, and official memory about the nation one has left have to be recombined in a new location (Appadurai, 2003: P. 21). The question this raises is, how to create a collaborative and collective space where individuals from other social and political subcultures can contribute or take part in this society?. 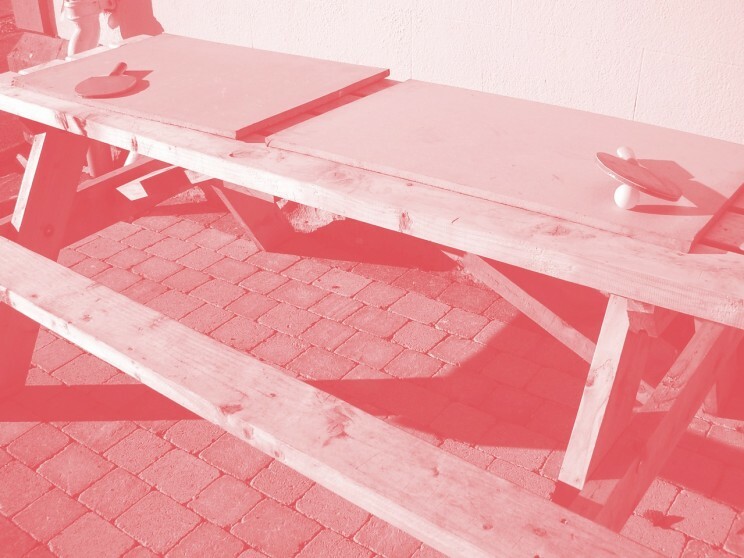 As suggested by Grant Kester, ‘[…]Working in conjunction with local activists and NGOs, they (artists) initiated a series of platforms designed to facilitate local resistance.[…]. According to Heim, ‘the locus of change is one person at a time, in a process of communication, which is dependent on finding enough common meaning between the artist and participant to sustain a dialogue. […] The activist potential for change develops in the time it takes to speak about something, and for it to be ‘listened’ into existence. [..]’ (Heim, 2003). Therefore the role of an artist is to be an active participant, a catalyst that promotes constructive dialogue among different participants of culturally diverse sector in this particular case. Rather than a figure that stands outside of society, engaged in an internal singular dialogue. Asylum seekers in direct provision centres create a ‘community of sentiment’ that begins to imagine and feel things together (Appadurai, 1996); they embed layers of multiple traumas encrypted in to a locality; they produce, unconsciously, the micro narratives within multilingual, multi-ethnic and multiracial direct provision formations. In my mind, Direct Provision Centres cannot be perceived only as the sites of incarceration, social exclusion or extreme poverty. They are also the sites of collectivity and resistance against national policy. Direct Provision Centres are sites where different nationalities and ethnic groups exist(ed) and persist(ed) in spite of the confinement created by the State. Direct Provision Centres are localities where significant ‘multicultural drift’ has occurred in the context of Irish State (Hall, 2000). I don’t see that the closure or reform of direct provision will provide any civil consciousness about the positionality of asylum seekers. How then can asylum seekers be less strangers (Bauman; 1991) in a profit making direct provision establishment?. Can ‘slow activism’ be a solution in the Irish discourse, where the activist potential for change develops in the time it takes to speak about something, and for it to be ‘listened’ into existence (Heim; 2003)? ‘Direct Provision Centres are disciplinary and exclusionary forms of spatial and social closure that separate and conceal asylum seekers from mainstream society and ultimately prevent their long term integration or inclusion. They are as Erving Goffman notes, ‘total institutions, forcing houses for changing persons, each is a natural experiment on what can it be done to the self’ (Loyal, 2011: P.101). The Direct Provision Scheme is a continuation of the history of confinement in Ireland through; borstals, laundries, prisons, mother and baby homes, lunatic asylums. (O’ Sullivan; O’ Donnell, 2012). When the Irish State initiated the Direct Provision Scheme, it deliberately constructed a space where institutional racism can be performed explicitly from the threats of transfer to a different accommodation centre to deportations. In this sense Direct Provision Centres are ‘the absence of everything…the place where the bottom has dropped out of everything, an atmospheric density, a plenitude of the void, or the murmur of silence’ (Levinas, 1987: P. 46). Auge, M. (1995) Non-Places: Introduction to an Anthropology of Supermodernity, London: Verso. Schinkel, W. (2009) ‘Illegal Alliens’ and the State, or: Bare Bodies vs the Zombie, International Sociology, 24, pages 779-804. Lentin, R. (2012) ‘Anti Deportation Ireland: End Deportations Now’, Free Radikal, 4 October. Available at http://www.ronitlentin.net/page/6/ [Accessed 15 April 2013]. Free Legal Advice Centre (2009) One size Doesn’t Fit All. Dublin: Printwell Cooperative Available at: http://www.flac.ie/download/pdf/one_size_doesnt_fit_all_full_report_final.pdf [Accessed 12 February 2015]. Sekula, A. (1983) ‘Reading an Archive: Photography between labour and capital’. In: Wells, L. et al. eds. The Photography Reader. London: Routledge. Taylor, D. (2003) The Archive and the Repertoire: Performing Cultural Memory in the Americas, Duke University: Duke University Press Books. Gibson, J.N. (2013) Visual ethnographies of displacement and violence, Critical Arts: South-North Cultural and Media Studies, 27, issue 5. Appadurai, A. (2003) ‘Archive and Aspiration’. In: Information is Alive, Joke Brouwer and Arjen Mulder: 14-25. Rotterdam: V2_Publishing/NAI Publishers. Bauman, Z. (1991) Modernity and Ambivalence, Oxford: Polity. Heim, W. (2003) Slow activism: homelands, love and the lightbulb, The Sociologial Review, Volume 51, pages 183-2002. Loyal, S. (2011) Understanding Immigration in Ireland: State, Capital and Labour in a Global Age. Manchester University Press. Sullivan, E. and Donnell, I. (2012) Coercive Confinement in Ireland: Patients, Prisoners and Penitents. Manchester University Press. Levinas E. (1987) Time and the Other. Duquesne University Press.